An object in motion tends to stay in motion. Giving that initial nudge can be daunting and when we’re talking about creating or revamping a Succession Planning and Management program within your organization, it can be downright overwhelming. Support from Home Office, however, either through mandated action or providing accessibility of strategic tools and incentives, can be that necessary nudge to encourage an agent or advisor’s compliance of a succession strategy within the organization. These five elements create the perfect storm that will slash into profits and erode bottom lines and over the mid to long-term see a decline in operational viability. The issue with succession or continuity planning is that we all think we have time. We all think we’re promised tomorrow whether that’s in our personal life or the life of our business. From an organizational structure, however, we must always be thinking about tomorrow and the next day. To appease shareholders, provide support to clients, and instil confidence in our executive board we need to have a plan about we’re going to do about the perfect storm on the horizon. No single person or department is immune from the collective responsibility of ensuring the organization’s health and longevity. So why is it crucial that Home Office lead the charge in a structured Succession Planning and Management program? A 2017 LIMRA study found that 20% of companies either haven’t decided how to help their advisors with succession planning OR they don’t believe it’s their responsibility to help. 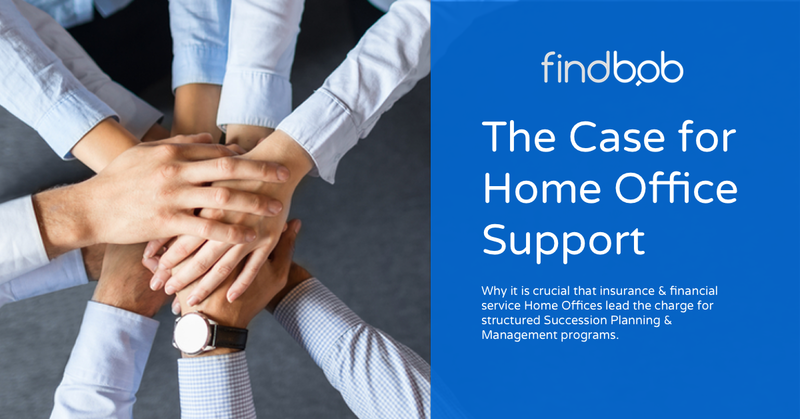 But let’s be frank - if it’s going to impact the bottom line of the Home Office, the responsibility does lay at the feet of the Home Office to implement and encourage successions strategies amongst its agents and advisors. The same LIMRA report also found that companies that do put a formal succession strategy in place had less disparity between what clients believed was an expected service level and the actual realities of what advisors could deliver and therefore they had a greater client retention rate. You plan the perfect party and no one shows. Embarrassing. Frustrating. And a complete waste of time. Companies with internal programs experience this all the time - even those who’ve developed formal succession and management programs. So let’s look at the numbers and see what success and failure looks like. When programs are made available only 20% of advisors participate fully in the program. Viewed as an 80% failure rate, Head Office assumes that the energy expended on a corporate succession strategy was a waste of time and resources, deems it to be unsuccessful and therefore a problem with no efficient solution. Then, in a self-fulfilling prophecy they limit the necessary resources that encourages further participation to that successfully viable level. Sorry, but just building it isn’t enough. They won’t just come. Home Office can create the change that goes against the natural inclination of the human psyche - engaging your advisors to address their future and need for a continuity or succession plan for themselves and their practice. The FindBob white-labeled succession planning and management platform utilizes behavioral learning and machine gamification can address Home Office needs; assessing existing talent, identifying distribution and performance gaps, and empowering your distribution to take ownership of their growth and perpetuation. Best of all, you finally get to sleep through the night.